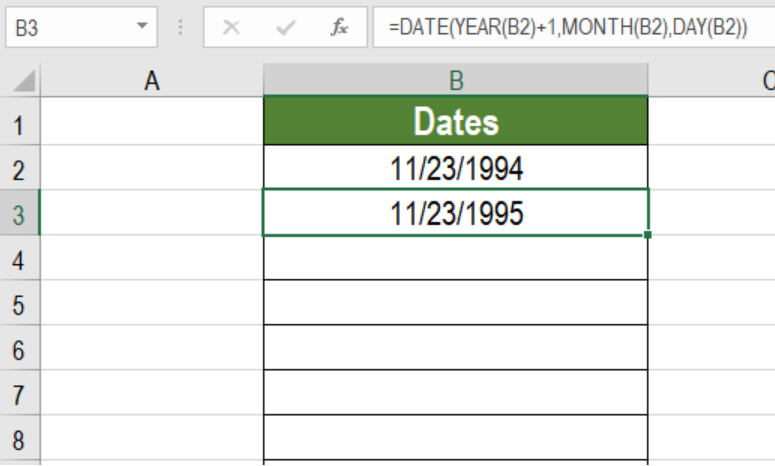 Excel has made working with dates simpler than ever before. 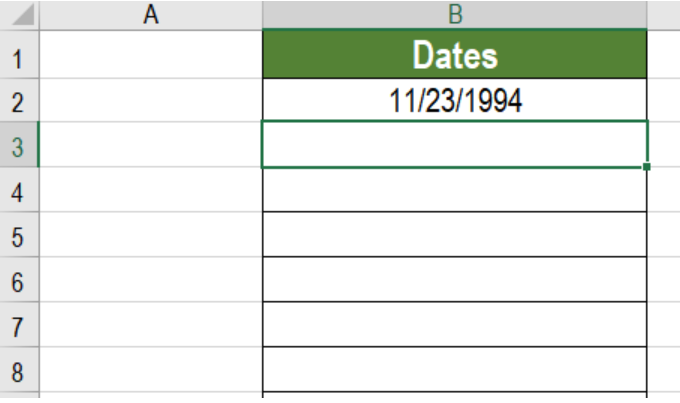 We can generate a series of dates by year using the DATE function. The DATE function takes the YEAR, MONTH and DAY arguments. In this tutorial, we will learn how to generate a series of dates by year. In order for this formula to work, we first need a hard coded date. 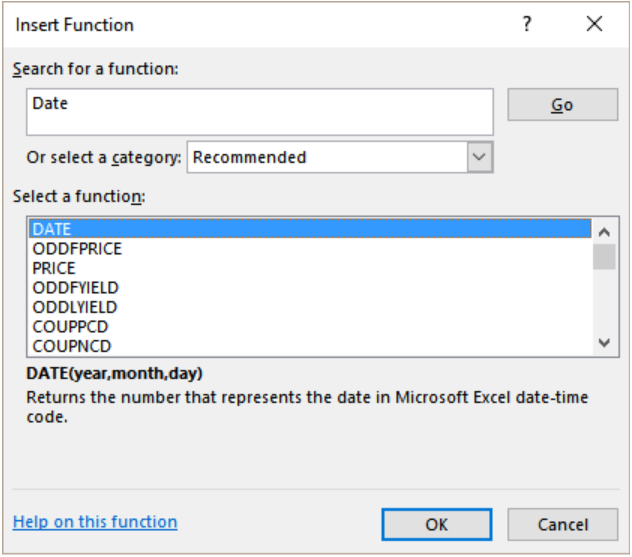 The Date function takes this date and extracts the year, month, and day values. YEAR (DATE) + 1 adds 1 to the year. With this information, the DATE function generates a new date with the same month and day but the next year. Thus, this formula generates a series of new dates by year. The following example contains a hard coded date in cell B1. Click Formulas>Insert Function. In the window that pops up, type DATE in the search box and click Go. This will open a pop up named Select a Function. Select the function DATE and press Ok.
Next, we need to provide the inputs for the YEAR, MONTH and DAY values. In this case, the values will be YEAR(B2)+1, MONTH(B2) and DAY(B2). Now, we need to click OK. 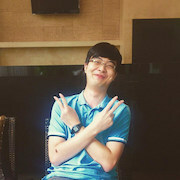 This will enter the formula =DATE (YEAR(B2)+1,MONTH(B2),DAY(B2)) to cell B3. Finally, we will need to drag the formula from cells B3 to B8 to generate series of dates by year. Column B will now have a series of dates by year following the date in B2. The DATE function is very handy working with dates. 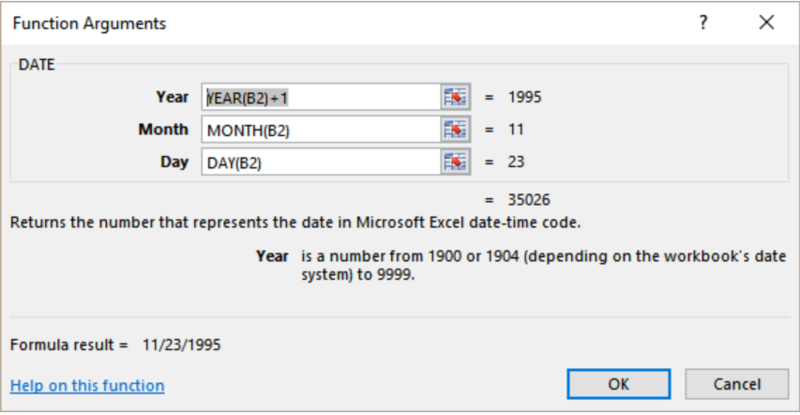 Here, with the help of this function we can generate a series of dates by year. By changing the MONTH and DAY parameters, we can also generate different dates. On the bottom of the first sheet is a list of dates that I filled in series but what I want to do is have those dates change based on the year input at the top and have the fill series automatically change based on the first friday of the year entered. Then I want to have those dates automatically change corresponding sheet names. Finally I need to be able to clear unlocked cells using a one-click button, if I can. 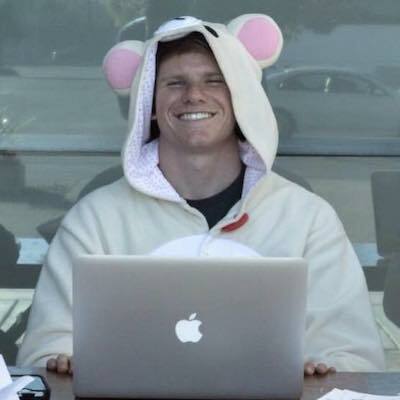 If I need to lock more cells than are currently, I have no issue with doing that if it will help me achieve my goal.